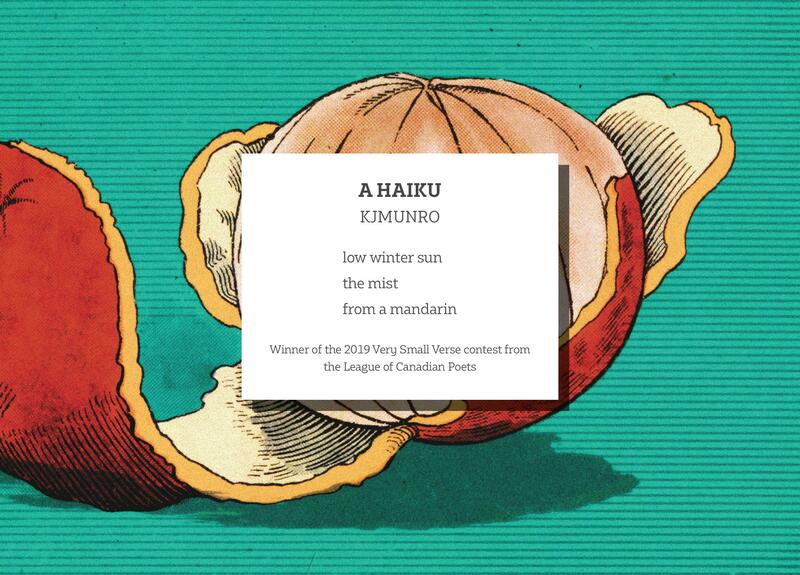 Download the League’s 2019 Poem in Your Pocket Day Booklet here. Download this poem as a postcard, designed by Megan Fildes, here. Share this poem on social media with the hashtag #PocketPoem. Originally from Vancouver, Canada, kjmunro moved to the Yukon Territory in 1991. She founded & facilitates ‘solstice haiku’, a monthly haiku discussion group in Whitehorse. She has two leaflets with Leaf Press, & co-edited the anthology of crime-themed haiku Body of Evidence: a collection of killer ‘ku.Her first poetry collection is forthcoming with Red Moon Press in 2019.